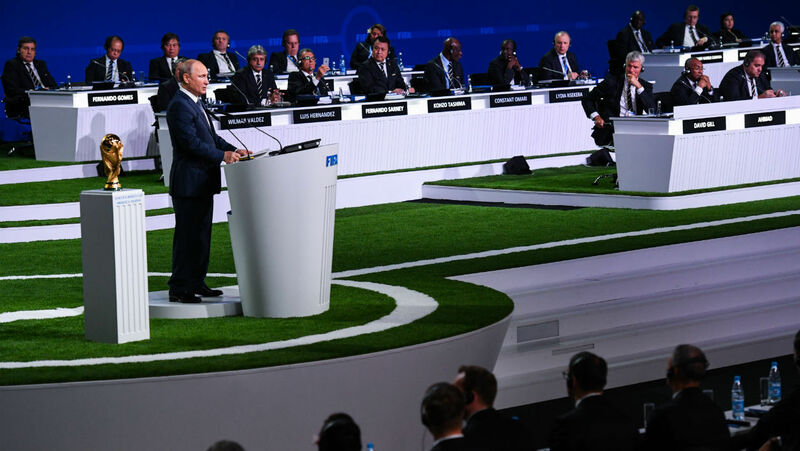 Delegates of the FIFA member countries this morning designated the United States, Canada and Mexico as host countries for the 2026 World Cup, the first of which will be played in 48 countries. The vote took place at the 68th congress of the instance, in Moscow (Russia). The trio won by 134 votes to 65. 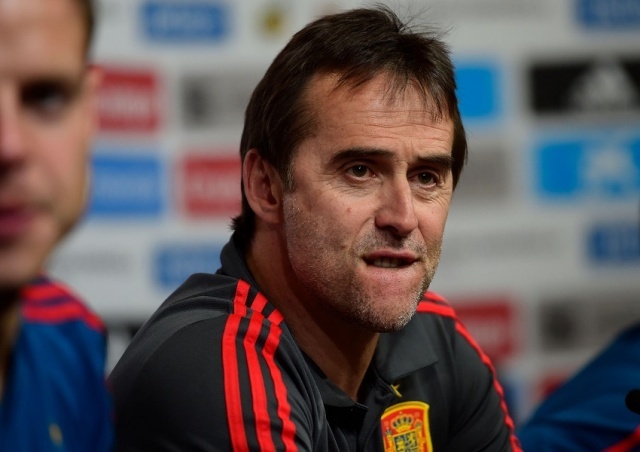 Julen Lopetegui has been sacked as Spain manager on the eve of the World Cup after leaving the Spanish FA furious after accepting the Real Madrid job. Lopetegui had penned a new contract to 2020 just weeks ago on May 22. RFEF president Luis Rubiales was said to be "furious" and "deeply upset" after Los Blancos confirmed Lopetegui as their new boss and confirmed Lopetegui departure. Luis Rubiales explained in a press conference the choice to do without Julen Lopetegui at 48 hours of the first match of the Roja in World Cup against Portugal. In a question, not his departure to Real Madrid but the absence of negotiations with the RFEF before the accomplished fact forced me. 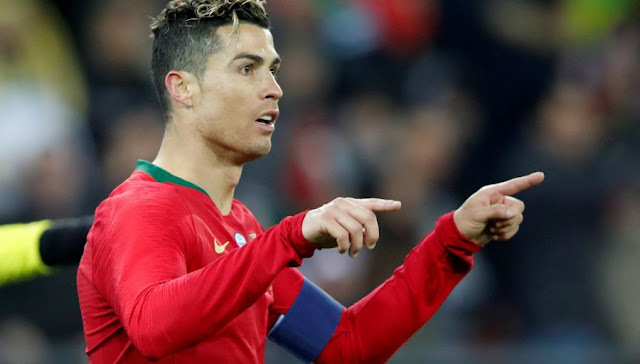 "We can not do things like this, by calling 5 minutes before an announcement, I was forced to make this decision ... (...) I respect Lopetegui a lot, he's a top trainer, decision very difficult, but again there is the way, it will make us stronger I'm sure, "he said. The successor will be Fernando Hierro. Cristiano Ronaldo is worth 120 million euros, according to information provided by El Confidencial . The PSG, which remains attached to the player, knows what to do, just like Manchester United. "CR7", under contract until 2021 with Real Madrid, has desires to start, especially after the victory in the Champions League final against Liverpool (3-1). 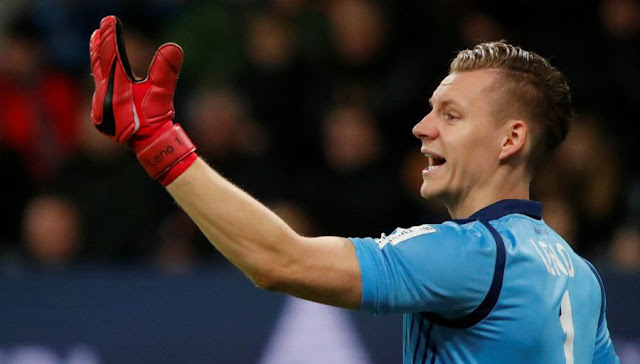 Arsenal is about to get the signature of Bernd Leno, the gatekeeper of Bayer Leverkusen, announced by Sky Sports. 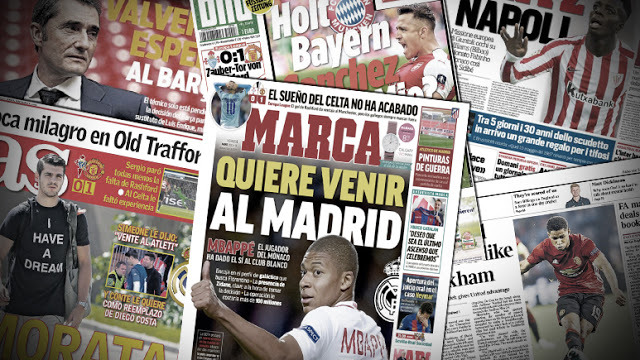 The Gunners are actively looking for a goalkeeper and would have taken the best of Naples who is also interested in the German international goalkeeper.